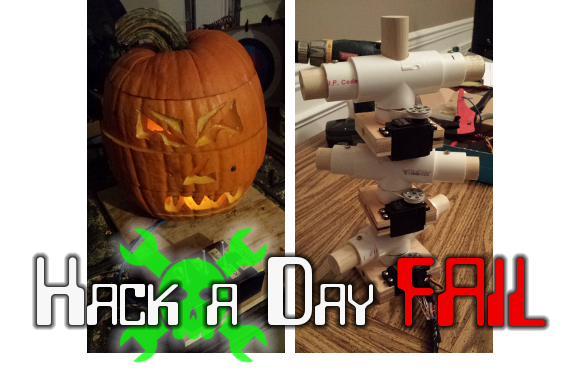 Sheer luck brings a Halloween themed project for this Fail of the Week post. [Stryker] wrote in to the tips line to share a link to what is an extremely awesome hack. He carved four three different faces on the sides of his pumpkin, then sliced the eyes, nose, and mouth into different sections. Couple this with an internal skeleton made of wood and PVC and he’s got himself a nice hack which lets trick-or-treaters spin the sections to select one of up to 27 different faces. The sections do spin rather well and the finished project looks fantastic. So what is it that failed? We’ll cover that after the break. It’s time to get those jack-o-lanterns twinkling for Halloween. If you don’t want to use candles or buy a jack-o-lantern light this Halloween you can do like [Johannes Bauer] and code your own pseudo-random flickering super bright LED. His wife wanted their pumpkin to be illuminated this year and he knew it would be easy to do with an Arduino, but that would be overkill for such a simple project. Plus, he doesn’t have an arduino. [Johannes] used very few components; 4 slightly depleted AA batteries, a super bright LED, 680 ohm resistor and a little custom code on an 8 pin ATtiny13. The circuit does work great for a pumpkin lantern but his video is more of a tutorial on coding linear congruential generator (LCG) for the 8 bit pseudo-random LED flickering. The code is short and can be gleaned from the YouTube video. [Johannes] used avr-gcc to compile and has packaged his code and build scripts for download. The hex file can be flashed over to the chip using avrdude or AVR Studio. 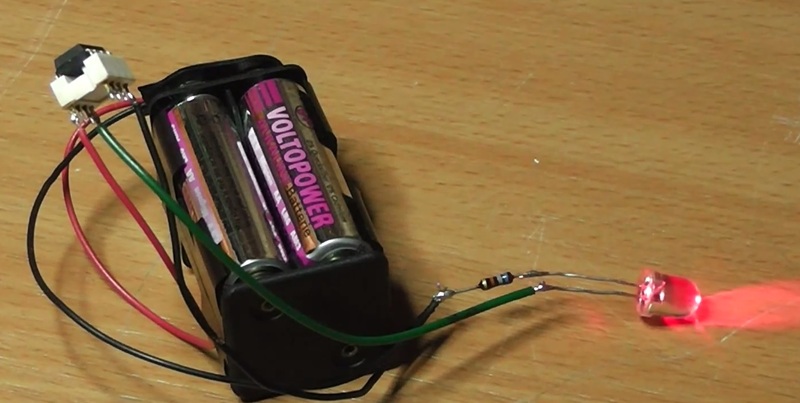 If you have any ATtiny13s lying around you should cobble this hack together just in time to emulate that real look of a pumpkin candle without the hassles and hazards of real flames. If you want something with a lot more light that still has that candle like flicker then checkout “Flickering Pumpkin Lanterns” that used the signal from LED tea lights to power some 12 V lamps. Follow along after the break to watch [Johannes Bauer’s] video.